No matter your age, we identify your strengths and weaknesses (physical limitations). We then minimize physical limitations and enhance strengths through a personalized plan of TPi protocols and fitness. 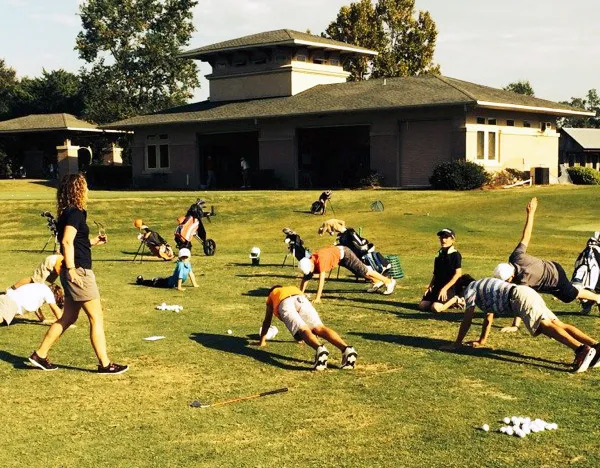 Ready to get an assessment and see what's happening with your golf fitness? We want to help you play at your unique highest level, while working as a team with your coach here at Rob Noel Golf Academy. What can TPi do for you? findings, along with a personalized 30 minute fitness program. of greatest needs along with golf stretch series. 90 minutes - you're interested, but not quite sure! Evaluation with 16 physical screens and custom report of findings. athlete’s physical limitations and enhances their strengths. 12 week personalized fitness plan that follows TPi protocols and addresses the athlete’s physical limitations and enhances their strengths. 12 one on one training sessions with TPi certified trainer (1 per week). Access to 12 week customized fitness program on Mytpi.com. Reassessment at the end of 12 weeks. 12 weeks - you're ready to commit to one on one sessions and start exceeding goals! 24 one on one training sessions with TPI certified trainer (2 per week). 12 weeks - this is your "ultimate" training program and your commitment is sky high!